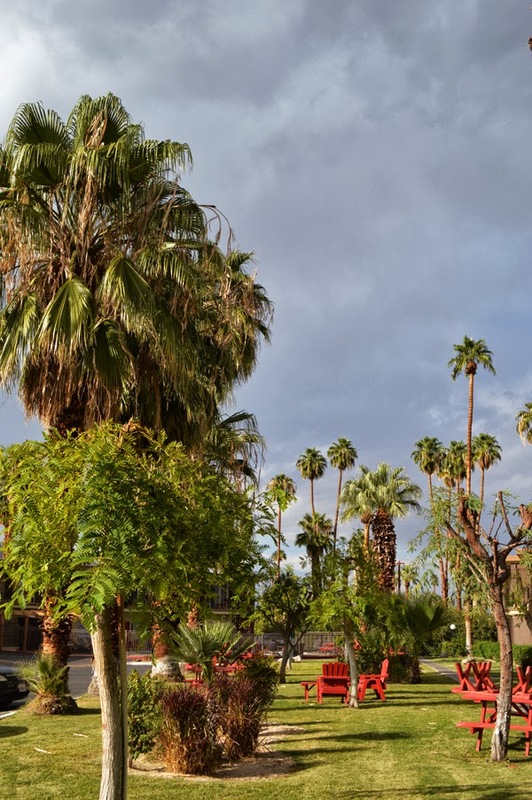 I had many plans for Palm Springs, but it turned out into a quick, rainy pit-stop. No bike ride, no mini golf, no taking cool pictures and no browsing the vintage stores. It wasn’t supposed to rain in the desert, but it did as we arrived coming from Vegas. So we had no other choice as to stay in the room or to drive a little bit around. 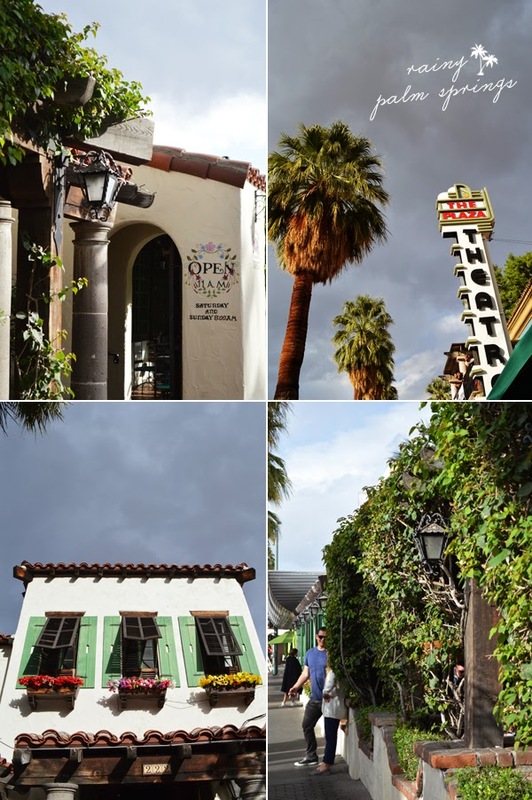 For a second the sun came out and we strolled the Palm Springs downtown. 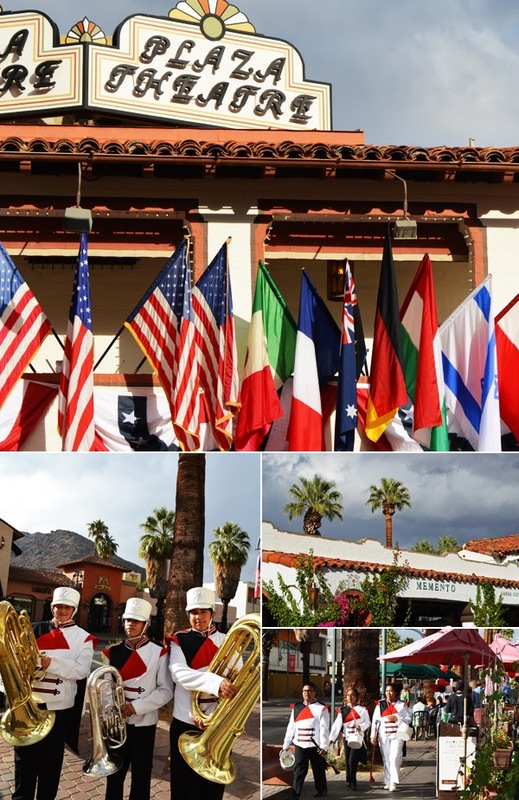 It’s funny, each time I’m in Palm Springs they have some kind of a festival there. Social city. 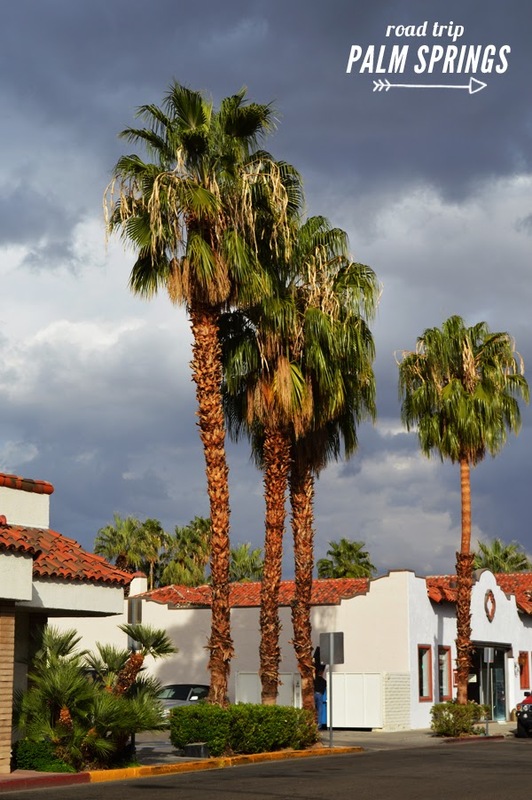 But the clouds were stronger, so we jumped into our car and drove to Palm Desert in hope to do some shopping on El Paseo – they were already closing. The evening was saved by some really good pizza at the Matchbook restaurant and a bag of chips in the motel room. For this time, good night Palm Springs, but be prepared, I will be back.